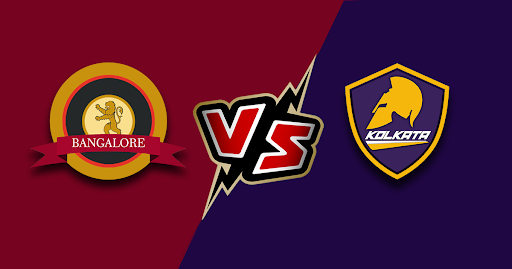 Home » Bangalore vs Kolkata: Match Predictions, Probable Line-ups and Playing XI. With performance that sent some shock waves and a breeze of humiliation among the fans, Virat and Co. have successfully managed to rank themselves at the bottom of the table. Desperate to clinch a victory, Bangalore will be looking forward to bring Nathan Coulter- Nile, replacing Shimron Hetmyer, who has been humiliating in the tournament. It is expected that Nathan will provide add some pace to the fast bowling department that has the likes of Umesh and Siraj slogging their sweat to take some crucial wickets. Also, Washington Sundar may replace Navdeep Saini. Marcus Stoinis may open with the in-form Parthiv Patel with Kohli dropping to number four. Probable Line-ups: Parthiv Patel (WK), Marcus Stoinis, Virat Kohli (c), AB de Villiers, Moeen Ali, Akshdeep Nath, Washington Sundar, Nathan Coulter-Nile, Yuzvendra Chahal, Umesh Yadav, Mohammed Siraj. Kolkata may have lost their last outing but they are one of most improved teams in the season. For their next face-off, Kolkata will be bringing back Sunil Narine in the place of Nikhil Naik. The team will be expecting Robin Uthappa and Nitish Rana to deliver some big scores. The highlight of the evening will be Andre Russel who has been exceptional with both ball and bat. Karthik and Shubman Gill have to play their roles as well. Ferguson and Krishna are the fast bowlers with the spin-trio of Narine, Kuldeep, and Chawla. The pitch seems to be favorable for batting and hence Kolkata can seek advantage and set some challenging scores. Probable Line-ups: Chris Lynn, Sunil Narine, Robin Uthappa, Nitish Rana, Andre Russell, Dinesh Karthik (C & WK), Shubman Gill, Piyush Chawla, Kuldeep Yadav, Lockie Ferguson, Prasidh Krishna. Needless to say, Bangalore can strike a chord with the pitch conditions but Kolkata’s top and middle order are much capable of clinching a victory here.